Nancy M. Hinshaw was shown age 2 in the 1860 Census, living in the household of her grandfather, Nathan Hinshaw of Washington Township, Randolph County, Indiana.5 Apparently she was placed in her grandfather's home after her mother died in 1859. Nancy and Abel were 4th cousins once removed. The Norton and Hinshaw families were apparently close: Nancy's father remarried as his third wife, Elizabeth Jane Norton, aunt of Nancy's husband Abel Sanford Norton (so her aunt-in-law also became her new step mother). Aurella Inez Norton, born Mar 22 1876, Randolph County,Indiana; died Jun 1932; apparently married a -- Rockhill [shown in 1900 living with Ruth Sabina Hinshaw #1151]. 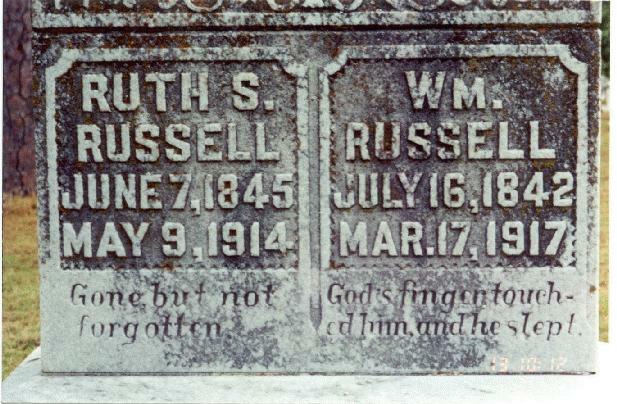 Edward Russell Norton, born Jan 7 1882, Winchester, Indiana; died Oct 27 1962, Wichita, Kansas. Grace May Norton, born Dec 7 1886, Indiana; married Carl Hinshaw. Norton, Sanford, age 25, born in Indiana; father born in Indiana; mother born in Ohio; farmer. Norton, Matilda, wife, age 23, born in Indiana; father born in Indiana; mother born in Ohio; keeping house. Norton, Inez, daughter, age 4, born in Indiana; parents born in Indiana. 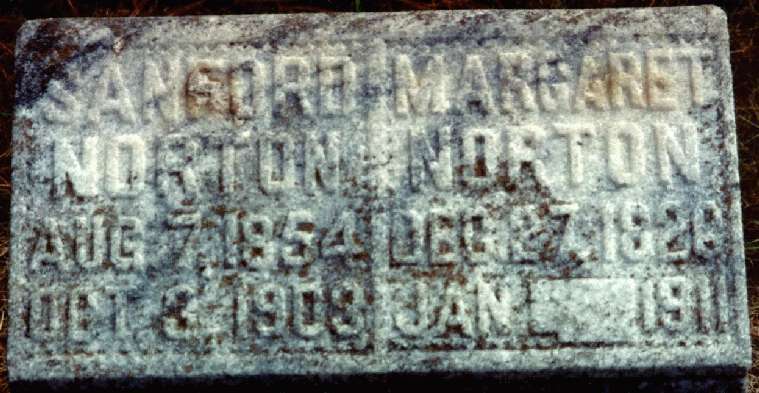 Norton, Margaret, mother, age 56, born in Ohio; parents born in North Carolina; widow. Norton, Sanford, head-of-household, age 45, born Aug 1854 in Indiana; father born in Indiana; mother born in Ohio; married 25 years; occupation: farmer; owned farm (mortgaged). 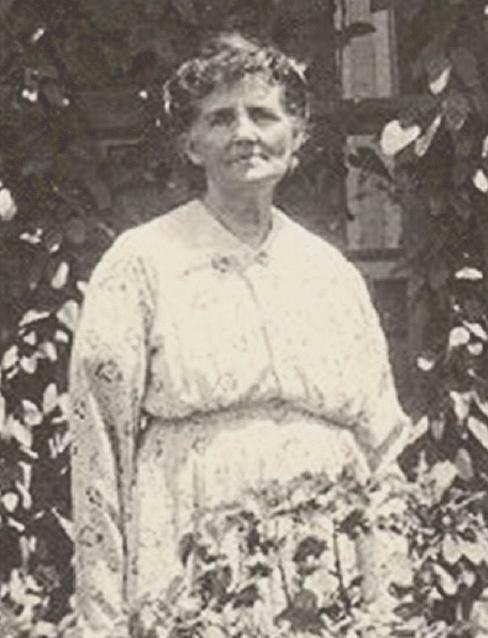 Norton, Nancy M., wife, age 42, born Aug 1857 in Indiana; parents born in Indiana; married 25 years; 4 children, 4 living. Norton, Russell, son, age 18, born Jan 1882 in Indiana; parents born in Indiana; occupation: farmer; attended school 5 months. Norton, Grace, daughter, age 13, born Dec 1886 in Indiana; parents born in Indiana; attended school 6 months. Norton, Ruth, daughter, age 5, born Feb 1894 in Indiana; parents born in Indiana. Norton, Margarett, head-of-household, age 76, born Dec 1823 in Ohio; parents born in North Carolina; widow, married 13 years; 6 children, 1 living; owned farm (free). Norton, Nancy T., head-of-household, age 52, born in Indiana; parents born in Indiana; widow; 4 children, 4 living; occupation: "own income"; rented home. Norton, Gladys R., daughter, age 15, born in Indiana; parents born in Indiana; attended school. Malone, John E., boarder, age 31, born in Arkansas; father born in Georgia; mother born in South Carolina; widower; occupation: teacher, literary school. 1900 census, Washington Township, Randolph County, Indiana; roll T623-399, ED 129, page 1A, line #60, dwelling #3-4, family #3-4. Betty Louise Norton-Brock () citing: Norton family bible. 1880 census, Washington Township, Randolph County, Indiana; roll T9-0307, ED 173, page 267A, line #20, dwelling #63, family #63. 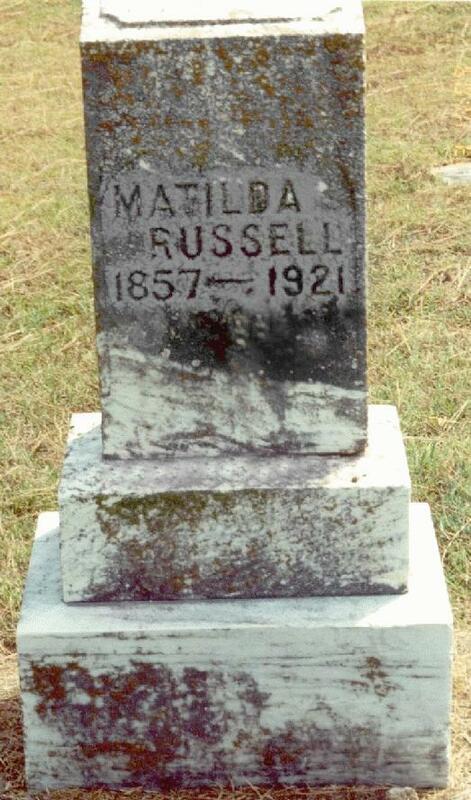 Gravestone photo courtesy of Mary Joanne Norton-Canaan (). 1910 census, 2nd Ward, Conway, Faulkner County, Arkansas; roll T624-49, ED 24, page 100B, line #88, dwelling #354, family #355. Photo courtesy of Mary Joanne Norton-Canaan ().